The Chairman of the Committee for Foreign Policy and National Security of Iran’s Islamic Consultative Assembly, Heshmatollah Falahatpisheh, stated that Iran was making every possible effort, together with India, Russia and nations of Central Asia and the Caucasus, to begin a joint regional campaign against terrorism. He highlighted that only with the help of such joint efforts can one combat terrorism, the plague of the 21st century, which the current U.S. administration is using for its military purposes. And by rescuing the remaining ISIS mercenaries and sending them to countries adjoining Syria, the United States is trying to maintain constant pressure on Middle Eastern governments that oppose the USA. It is worth mentioning that Tehran does not rely on Riyadh at all when it comes to resolving this issue. According to the second-in-command of the Islamic Revolutionary Guard Corps (IRGC), Brigadier general Hossein Salami, Saudi Arabia is the “heart of evil” in the region and the world. Iranian appeals to actively fight against terrorism and those who support perpetual instability in the Middle East are well-grounded and are given further credence by disturbing realities. Many clear-headed politicians have condemned Washington’s “duplicity” after more and more reports began to appear recently about the fact that President Donald Trump’s administration was striving to promote the sale of nuclear technologies to Saudi Arabia. Needless to say, what the entire world has known all along is becoming clearer with each passing day: neither human rights issues nor nuclear programs are true causes for concern for the United States as it is pursuing its foreign policy course in Middle Eastern countries, and first and foremost, in its satellite nation of Saudi Arabia. The murder of the journalist Jamal Khashoggi in Istanbul at the hands of the Saudi intelligence services, and the fact that President Donald Trump condoned this inhumane act are all instances of the USA exhibiting double standards in relation to human rights issues. It is intriguing that after the death of the Saudi journalist, the House of Representatives and the Senate adopted resolutions which limit U.S. participation in military operations of the coalition, headed by Saudi Arabia, during the Yemeni civil war. What is more, the Senate approved the resolution following a vote that reflected overwhelming support for the idea that the Crown Prince Mohammad Bin Salman was indeed responsible for the murder of Jamal Khashoggi. Incidentally, statements by Mohammad Javad Zarif followed assertions in Congress that the Donald Trump administration was trying to sidestep the U.S. Congress in its attempts to hand over fairly sensitive and dangerous nuclear technologies to Saudi Arabia. 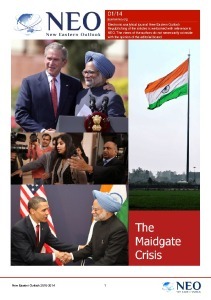 The House Committee on Oversight and Reform issued a report that stated “Further investigation is needed to determine whether the actions being pursued by the Trump administration are in the national security interest of the United States or, rather, serve those who stand to gain financially as a result of this potential change in U.S. foreign policy.” The 24-page report says that cooperation between the Trump administration and Saudi Arabia raises serious questions about its very nature. The document highlights that “efforts inside the White House to rush the transfer of highly sensitive U.S. nuclear technology to Saudi Arabia” are “in potential violation of the Atomic Energy Act”. The report includes documents, e-mails and a number of issues raised by the former National Security Advisor, McMaster, White House lawyers and whistle blowers in the Trump administration. The House Committee concluded that the agreement with the Saudis to transfer nuclear technology violated U.S. laws and, therefore, lacked transparency. In addition, congresspeople stated that “the White House appears to be proceeding” with the transfer of sensitive nuclear technologies to Saudi Arabia even now. In light of these events, how should one view cries from the U.S. administration about supposedly wrongful actions, undertaken by Iran and North Korea? It is common knowledge that in May of last year, Donald Trump unilaterally and in violation of international law withdrew from the landmark nuclear deal, signed by Iran and six world powers, and announced that sanctions against Tehran, which had been removed as part of this nuclear agreement, would be reinstated. Even now the United States is still applying pressure on European signatories of the treaty, known as the Joint Comprehensive Plan of Action. The High Representative of the EU for Foreign Affairs and Security Policy, Federica Mogherini, stated that the European nations (i.e. 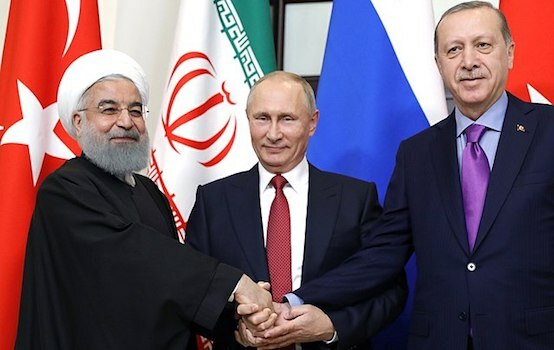 signatories) were determined to continue to implement “nuclear-related commitments” because this “is vital for our own security and for the security of the region”. Iran has always maintained that it has no intentions of developing nuclear weapons, and the International Atomic Energy Agency (IAEA) has on more than one occasion confirmed the peaceful nature of Iran’s civil nuclear program. Even the speaker of the U.S. House of Representatives, Nancy Pelosi, described the U.S. President Donald Trump administration’s “approach toward Iran, including its withdrawal from the Iran nuclear deal, as completely wrong”. Nancy Pelosi expressed her opinion about this issue quite diplomatically, while Donald Trump’s sworn enemies, the democrats, have used much harsher and less polite language and talked about reviewing the current administration’s Iran policy if they come to power. As is the norm, a few days after the United States withdrew from the nuclear agreement, the Crown Prince Mohammad Bin Salman Al Saud said in an interview with CBS that the Kingdom would purchase nuclear weapons if Iran did so. And there is convincing evidence that supports this. Many political observers view the recently completed visit by the Crown Prince to Pakistan as an attempt by Riyadh to get their hands on nuclear technologies and weapons from Islamabad. Unprecedented generosity demonstrated by the Saudis supports this hypothesis, as Mohammad Bin Salman Al Saud, the yet-to-be crowned leader of Saudi Arabia, personally and without any preamble signed a number of agreements with the Pakistani leadership for a previously unseen sum of $20 billion. Pakistan was offered oil refining and deep water port construction work projects. In addition, Islamabad will receive unprecedented privileges when buying oil and its derivatives from Saudi Arabia. Incidentally, this story reminds us of the visit to our country by the Saudi Prince Bandar, who, during the meeting with Vladimir Putin, attempted to buy the entire Russian nation for $15 billion. The sum involved in this case is much greater, so what is it for? 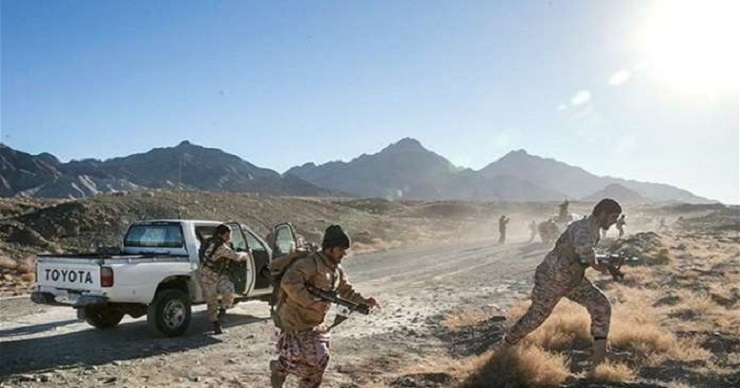 A recent terrorist attack on Iranian armed forces near the border with Pakistan, which resulted in the death of 27 military personnel from the Islamic Revolutionary Guard Corps (IRGC), may shed some light on all of these agreements between Pakistan and Saudi Arabia. The IRGC commander-in-chief, Ali Jafari, accused Saudi Arabia and the United Arab Emirates of committing this crime, and also criticized Pakistan for failure to safeguard its border with Iran. An investigation, conducted by Iranians, revealed that the terrorists were Pakistani citizens and crossed the border from Pakistan. In addition articles, which are published on a regular basis by global media outlets, report that Islamabad is prepared to hand over nuclear technology, an actual nuclear bomb and its engineers to Saudi Arabia. There are even unverified rumors that Riyadh has already purchased atomic bombs but they are still stored with Pakistani nuclear arsenal. All of these factors clearly and explicitly show that the U.S. – Saudi Arabian policy, is yet again continuing to destabilize the entire Middle East, which, naturally, is not in the interests of people living in this region.